Are you applying for a position as a market research analyst? In your cover letter, you'll want to demonstrate that you have the research, analytical and other skills required for market researchers. 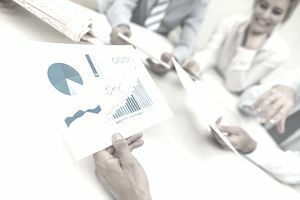 Since this position calls for analyzing data to find areas of improvement, ranging from increasing ad impressions to driving sales conversions, it will be helpful if you provide examples of instances when you have spearheaded projects or initiatives that generated or saved money or made other powerful contributions to the company. Your cover letter should also express that you have the exact experience and skills outlined in the job advertisement. See below for examples of a cover letter and matching resume for a market research analyst position. This is an example of a cover letter for a market research analyst. Download the market research analyst cover letter template (compatible with Google Docs and Word Online) or see below for more examples. The job listing, posted on LinkedIn, for an Associate Market Research Analyst caught my attention. I am confident my experience leading various focus groups, evaluating high-profile market research studies and providing actionable business recommendations would provide much value and benefit to your organization. My various positions have taught me the importance of developing and maintaining professional relationships and record-keeping. Throughout any market research study, it is vital proper documentation takes place. Many parties are interested in accurate results that will ultimately help drive business objectives and focus. It is my priority during each study that protocols are followed to ensure a company’s outcome is one that will help increase profits, visibility or whatever the final objective may be. I ask for a few minutes of your time so we can further explore the contribution I could bring to your organization. Please contact me at abc@xyz.com or 123-456-7890 to arrange a time. I look forward to hearing from you and appreciate the opportunity to apply and be considered for this position. This is an example of a resume for a market research analyst position. Download the market research analyst resume template (compatible with Google Docs and Word Online) or see below for more examples. Respected Market Research Analyst with 10+ years’ experience in providing recommendations on how to maximize opportunities and investments based on research findings seeks position with a top firm. Analyze, interpret, and synthesize learnings from research sources, and draw actionable and executable conclusions for stakeholders; provide recommendations on how to maximize opportunities and investments for company based on research findings. ● Clearly express ideas, results and recommendations both orally and in writing. ● Conduct focus groups and provide day-to-day support of ongoing consumer studies. Continuously gathered and interpreted data for company on new and emerging competitors. ● Collected and compiled information on customer demographics, preferences, and buying habits. ● Analyzed and reported research results to management on a weekly and quarterly basis.